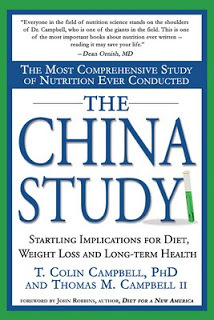 Dr. Greger's not for profit website NutritionFacts.org is a wealth of knowledge on the latest findings from medical and scientific articles and journals. Dr. Greger and his team reads through as many peer reviewed articles as they can, and condenses them into easily digestible videos for us! How nice! Here's a great one describing, in depth, why sugar is not the cause of insulin resistance as many people believe. This is an important video to watch or share! I love seeing the vegan diet taken to a philosophical and intellectual level as this woman's research does. Why is eating meat an agreed upon social norm, and what is involved in keeping it this way? This is a must-see, an incredibly moving and powerful snapshot of 'why vegan?'. Please share! Doctors and programs like Dr McDougall's are the key to the future of health! Check out this inspiring website. Vegan for almost 50 years, Dr. Ellsworth Wareham shares some thoughts on his life, his nutrition and exercise regime, why he retired, and what he thinks about heart disease. I just finished reading an article on integrative medicine which highlighted the work of Dean Ornish. I've been a fan of Dean Ornish's since finding out that Bill Clinton turned to a vegan diet to reverse his heart disease on the recommendation of Dr. Dean Ornish. This forward thinking doctor uses integrative therapies to heal and prevent some of the leading causes of death. He includes meditation and yoga for stress relief, fitness, community and relationship building, and a whole foods-plant based diet in his methods. Browse through his site here to see what Medicare Insurance in the United States funds as a viable way of treating and preventing disease. After all, we all know that money talks louder than many things, and if a US insurance provider funds this program, it must work! This brightened up my rainy morning. Vegan Style! I stumbled upon this 5 min. TEDtalk and was reminded how we're all on our own path, at different stages and are open to different amounts of change. Every bit helps. Why do nothing if you can't do everything? Here's how Graham Hill is finding balance in his life. Dean Ornish, one of my many plant-based heroes, a clinical professor of medicine at the University of California, San Francisco, and the founder of the Preventive Medicine Research Institute, has recently published an opinion piece in the New York Times. Click HERE to read what he has to say about eating for health and a healthy weight. Your dog is the cow you eat. You cat is the fur you wear. Make the connection and see that all living animals deserve love and respect. Why do we still turn an blind eye to the cruelty and suffering of 56 billion animals per year? "Americans love hamburgers – we each eat an average of three a week. But what are the hidden costs? It turns out that livestock create about as much greenhouse gas pollution as cars, planes and other forms of transport. They also take a heavy environmental toll on land and water worldwide. How can we reduce our impact? Learn more in this animated short from the Center for Investigative Reporting." One of the most powerful and comprehensive talks I've ever heard. Mark Bittman, a conscious omnivore, encourages us to think about what we put on our plate and into our bodies. There are many reasons to get meat off the menu- health, the environment, respect for life and sentient beings, and world hunger. In this 10 minute speech during a debate consisting of 6 speakers- three who make the case for getting animals off the menu an three who make the case against it- Philip Wollen delivers a powerful message. Today's inspiration comes to you in picture form. Freshly juiced vegetable and fruit juices deliver nutrients directly to your blood at a similar absorption rate as alcohol. Without needing to be broken down, these nutrients pass the digestion phase which leaves energy for your body to focus on other tasks at hand such as detoxifying and continuing the digestion of other foods. 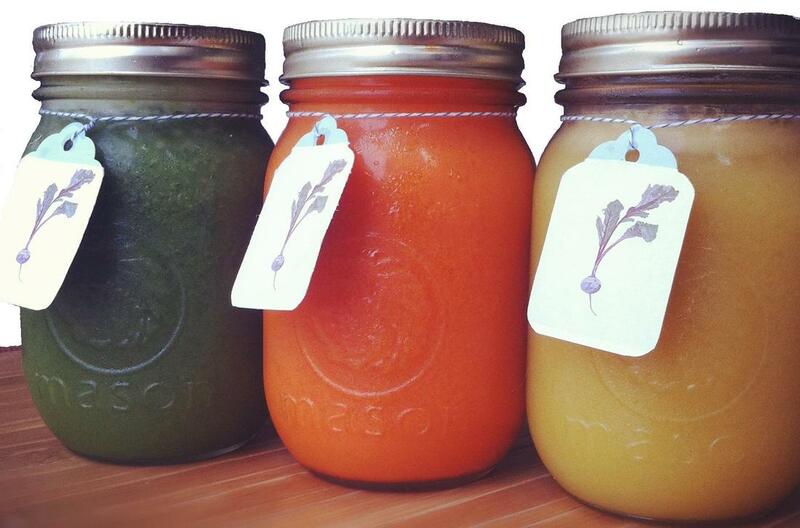 Fresh pressed juices like the ones below are very different than store-bought juices. Your grocery store juices have been pasteurized (heated to kill bacteria) leaving very little nutrition other than some vitamin fortification. They have nearly as much sugar as a soda and the flavours are chemically enhanced with 'flavour packs'. Have you ever wondered how one brand maintains a consistent flavour and colour every single time? In fresh juices we have the whole food minus the fiber. Our cells are craving large amounts of nutrients from heads of lettuce, bunches of kale, apples and carrots and lemons, red cabbage and cucumbers and beets. In our modern world, many of us are eating more than ever while at the same time chronically malnourished from a lack of vitamins, minerals, fiber and healthy fats. Add just one juice to your day for a week and watch yourself transform.